Generation Z has now been studied, and they are among us. Yet another shocking example: I was amazed and surprised on XRPChat the other day to find out that one of our posters was ... 17 years old! He's not alone in crypto. You might have heard of Vitalik Buterin?2 He's the ripe old age of 23. Yes, Generation Z is far more technically proficient at an earlier age than I was, and I was considered a "nerd" where I grew up in the Midwest. I was interested in computers, video games, and science fiction reading. I was a fan of Star Trek, Star Wars and... you get the picture. So why am I waxing philosophical about different generations and trends? They are going to shape the future of payments, which in turn is going to shape the future of XRP and the company that created it. Some have named these macro-scoped trends "megatrends" for obvious reasons; they impact a large volume of individuals and the sheer numbers involved are not wisely ignored by companies if they want to maintain a competitive advantage. Observations about Generation Z are just one small part of the mix. These trends in turn can be broken down into sub-categories that target how individual industries might be affected. To determine which of these trends to evaluate when it comes to XRP and Ripple, we first must understand the technology that Ripple is creating, and how the purpose and intended use differs between each. Ripple does one thing the best, as Miguel Vias and Brad Garlinghouse are fond of reminding us: payments. Even though XRP - the digital asset that Ripple created in 2012 - can handle use cases from other crypto-currencies, they've chosen to narrow Ripple's focus to remittance and value transfer. Further, they've connected institutional players in the payments industry with the latest in fintech innovation, and have created three different suites of software to do just about anything a Payment Service Provider (PSP) might need. xCurrent is Ripple's ILP-based solution.8 It uses the Interledger Protocol, an international payment standard, to connect ledgers from different banks and financial institutions together, and allows for real-time payments and messaging in conformance with international standards and regulations. xCurrent is in production, and exceeds the performance and functions of the legacy SWIFT system - and even the (future) SWIFT GPI solution as described by SWIFT. xCurrent does not require XRP, but it doesn't prohibit the use of XRP or another digital currency or crypto-currency, either. xRapid is the realization of the use case for XRP - the lowering of liquidity costs for banks and other organizations when transferring value across borders, or between traders of two different currencies. While xRapid's production usage is relatively new - there is one confirmed business using it in production - it is also the package that has the most interest from a crypto market standpoint, since it has the potential to drive demand purely from a use case instead of speculation. xVia is targeted towards corporate payments - a significant growing market that is expected to drive international cross-border payment volume in coming years. While xRapid is the tool that most crypto investors are interested in, do not underestimate xVia for adding a lot of potential clients to Ripple's backlog. Let's review: At a high level, we know that rapid urbanization is happening, and that it intersects with changing demographics. While a discussion about all of the sub-trends is outside the scope of this blog, suffice it to say that international payments are going to be increasing for multiple reasons associated with these two factors. In addition, globalization is going to continue: Technology is making the world more connected than it ever was before, with inter-dependencies among all of the world's economies. While the fourth megatrend is known as "accelerated innovation," it impacts and is impacted by, all of the previous three megatrends. From the high level list, several consulting agencies have drilled down into specific industries to arrive at a set of short and long-term market predictions. One of these consultancies is CapGemini. Ripple is aware of these trends, as evidenced from the positioning of their three offerings. Brad Garlinghouse and others from Ripple have spoken numerous times about points included in the above trend list, expounding on the steps that banks and financial institutions must take to plan for these global changes - and the increased consumer and customer expectations that go along with them. Does Ripple Fit the Trend? Brad Garlinghouse was asked about some of the new front-end applications that have been popping up recently on mobile devices, including Apple Pay, Google Wallet, Alipay, Venmo, and others. He noted that despite the user-friendliness of these front-end innovations, that most were simply bypassing the settlement requirement until a later time, to provide the impression of instantaneous settlement. In reality, most of these impressive apps are built on the existing payment rails of SWIFT and other inflexible & archaic legacy systems dependent on batch processing. To truly settle a payment in real-time, a re-plumbing of the back-end must completely revamp the system, using the latest in blockchain technology. Accomplishing this task end-to-end means payment certainty and most importantly, settlement. His statements validated my own personal impression of online stock trading from years prior. While I only dabbled in online stock trading, I do vividly remember that my funds were "unconfirmed" despite having sold a block of stocks. The application I was using indicated that the funds were not considered settled at the point of trade completion. This surprised me; if I can stream movies to my cell phone while in an airplane at 30,000 feet, why would it take brokerages multiple hours to completely settle a transaction? The same concept holds true for international payments. Ripple's ability to completely settle in four seconds or less, combined with its ability to attach KYC information directly to the payload of a payment itself, is an innovation that could make the dream of cross-border instant settlement a reality. The ability to attach KYC information to the payload of a transaction is a standard part of the xRapid solution. Payment Service Providers (PSPs) can directly benefit from this technology; KYC procedures and their corresponding nation-specific regulations and requirements have long been a source of costs for banks and other organizations that service the remittance industry. Ripple's familiarity with banking regulations and their interaction with fintech innovations can enable banks to accurately update their compliance procedures. KYC is no small matter; one of my personal friends works at a large Midwest bank, and she indicated that various categories of that work is still heavily manual in nature; banks spend considerable amounts of money on this category of compliance. This massive compliance expenditure by banks provides an opportunity for Ripple to call out these costs as a significant point in favor of Ripple technology adoption. The CapGemini report also identified the prevalence of hidden payment volumes. Traditional banks have had difficulty in meeting the demand for these for various reasons. Typically, payment processing through traditional banks or service providers is cost prohibitive for transactions beneath a specific threshold. These transactions are typically labeled "micropayments", and the total volume and amount is massive. They include taxi fare, small purchases at coffee shops, online selling of small items, and even the monetization of online advertising. Although some newer payment processors such as PayPal have attempted to lower their costs to support micropayments, Ripple is perfectly positioned with XRP Payment Channels to make these types of transactions not only feasible, but profitable. 9 on the list focuses on fraud prevention and detection. While it's tempting to focus on Ripple's strengths in almost every other category in the list, it's worth noting that Ripple's primary legacy competitor in the category of international transfers of value is SWIFT. #9 on the list has proved very problematic for this aging technology. 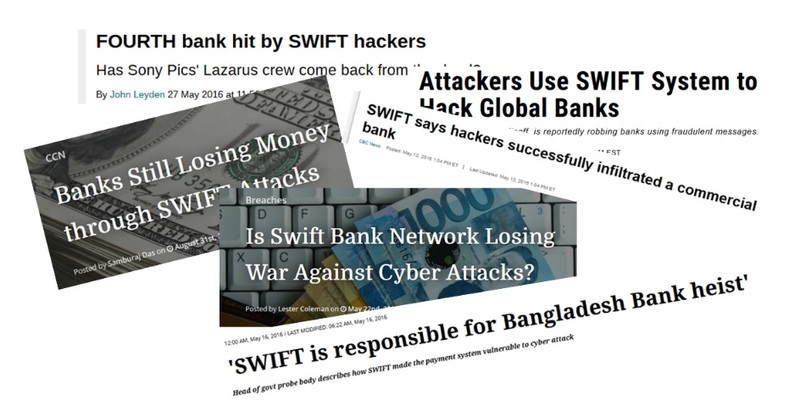 While SWIFT has started the effort at reforming its infrastructure to address these security weaknesses, their efforts have lagged; contrast this with Ripple's XRP Ledger, which has been running flawlessly since 2012 with no major security incidents, along with multiple third party reviews of their open-source code. 10 on the list has to do with the "leapfrog" effect in developing countries. This affects markets where traditional payments infrastructure does not exist to reform or compete with; instead, only new mobile-centric payment providers are available to fill the void, thereby "leapfrogging" over the constraints that inhibit developed nations from bypassing legacy technology. This effect dovetails with the another topic: Ripple is assisting the unbanked in developing countries. "The software is designed to provide a reference model for payment interoperability between banks and other providers across a country’s economy. It is available now, free-of-cost, for software developers to adapt and banks, financial service providers and companies to implement." XRP performs several functions beneficial to banks and financial institutions. While many of these benefits are impressive, the most important one is the cost savings. Why? Because ultimately banks will use it because it saves them money: A lot of money. 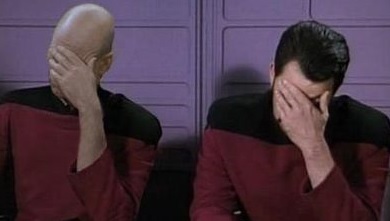 If you're an XRP investor or just a general crypto fan, you can set aside all of the "win-lose" drama that unfortunately pervades online forums where crypto-currency is discussed and debated. When it comes to XRP, its use case is the driving factor behind its value. The highest cost savings are realized when XRP is used as an intermediary for transferring value from one fiat currency to another. One of the companies that uses XRP for this purpose is Cuallix. It uses xRapid to service payments back and forth from the United States and Mexico. In addition to its ability to serve as a bridge currency, usage of XRP for transactions is nearly free. Currently, the minimum network fee is set at "ten drops." I won't delve too deeply into technical definitions, but suffice it to say that this cost is measured in ten-thousandths of a cent! This ultra-low transaction cost, combined with a sub-four-second settlement speed, makes XRP the perfect candidate for global micropayment processing. To understand that I'm not using hyperbole when I say "perfect," you have to understand that micropayments using XRP can also use something called "payment channels," an ultra-scaling payment processing function within XRP. The throughput of XRP Payment Channels scales directly with additional processing power. This means that as more computing power is added, the number of transactions that can be processed each second increases. In recent load tests, XRP Payment Channels exceeded the processing throughput of VISA, and demonstrated an ability to process over 70,000 transactions per second. Often in some of the crypto forums, I hear perspectives from people that seem to have a "learned helplessness" affect to their demeanor. They talk about the market as if it is something out there - outside of them - that is happening to them. From their writings, it becomes apparent that they don't truly believe they can affect the market, or even help price discovery of the asset they are buying and selling. It is only through active deprogramming and education that the XRP fan base alerts them to the fact that they can make a difference. This has led to grass-roots marketing efforts that have had a massive impact from a just a little bit of ingenious effort. In one case, an XRPChat moderator sponsored a program where fans could actually purchase physical coins with an XRP private key embedded, and send it to the moon aboard one of the Google X Challenger moon launches! It's efforts like this that heighten motivation among the people that want to get the facts out about Ripple and XRP. The XRP investor community wants to support Ripple and XRP in transforming banking and supercharging the world economy with real-time velocity of money. And Ripple is not waiting passively to be discovered. While other start-ups stand on the sidelines and wait for adoption of their latest fintech innovation, Ripple is successfully and effectively marketing their innovations and technology; blockchain technology is not as easily understood as the Internet. Yes, they're both innovations, but while one can be readily understood with a minimum of effort, to truly understand the potential the listener must not be afraid to leave the comfort zone of centralized data processing. In the past, large companies controlled the entire flow and storage of all information for their business. Financial industry leaders have to open their minds to something new - and a bit intimidating - a decentralized architecture of distributed ledger technology that offers an entry point to real-time, cross-border payments. 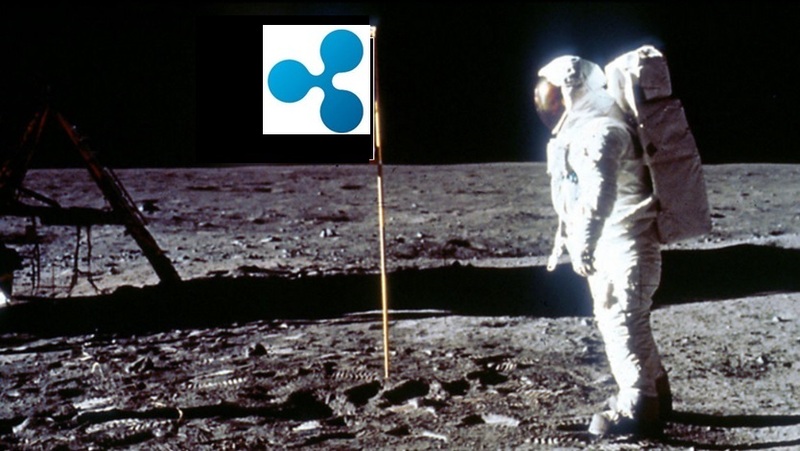 Ripple leads from the front, planning conferences such as SWELL, globe-hopping the Pacific rim with XRP meetups and ILP workshops, and assertively engaging with the media to dispel ignorance. While you may be thinking of a small group of high-profile leaders at Ripple when I mention these facts, from what I've seen of their team members, I believe the entire company is fearless in their approach. 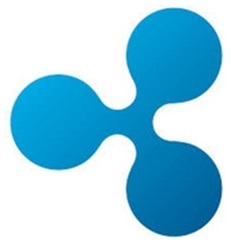 Ripple is methodically expanding worldwide into a major technological company, and it handles itself with the nimbleness that made it strong from the beginning. Strangely enough, it's also a reflection of the speed and flexibility of their digital asset, XRP.